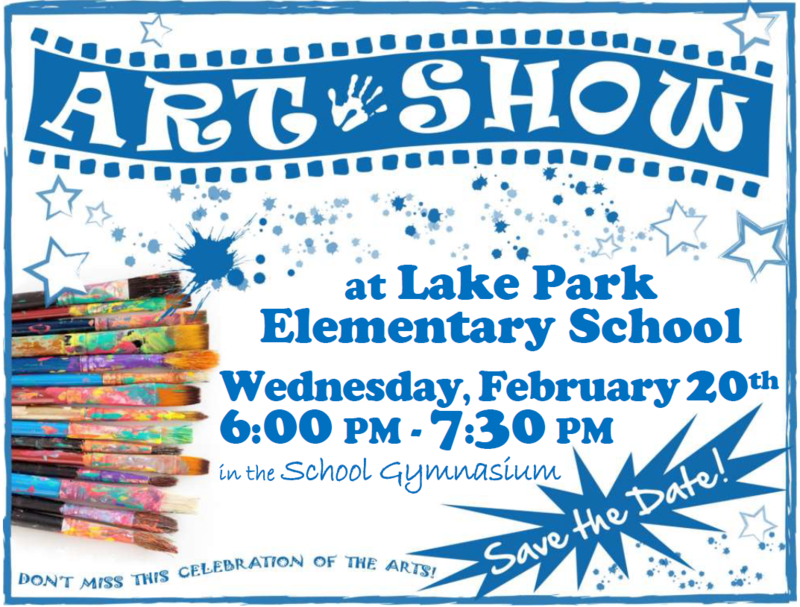 Stop by the Lake Park Art Show on Wednesday, February 20th to see your child's art work on display! You can also purchase your child's framed artwork! 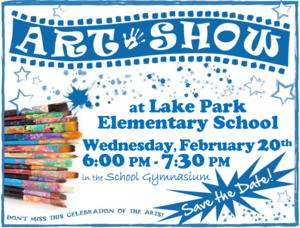 Lake Park Elementary School © 2019.